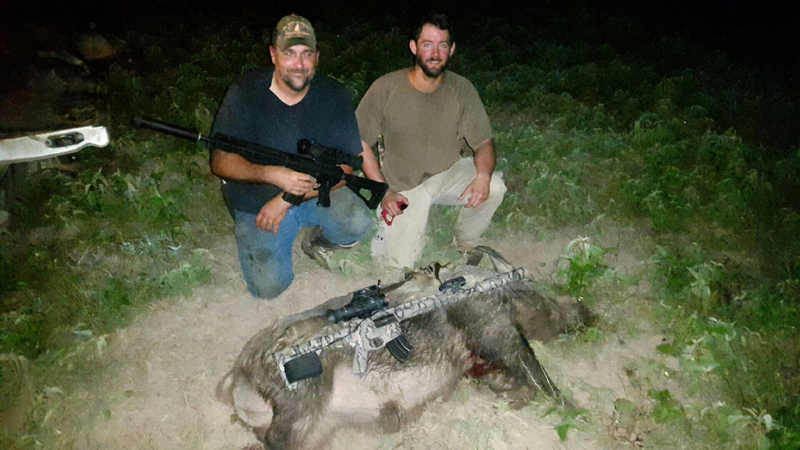 Got an invite to go down to Victoria, Tx to help eradicate some hogs that had been hitting the corn fields pretty hard. We started around 9:00 and wrapped it up around 3:00 am. We drove around scanning fields out the window and stopped in a few places to call for a few minutes here and there. We got 6 confirmed kills on the first group. 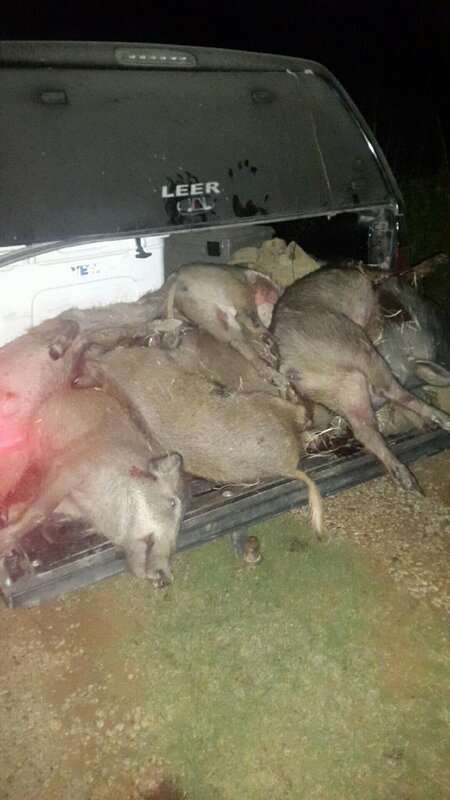 Then later in the night took out a single boar that is not in this video. 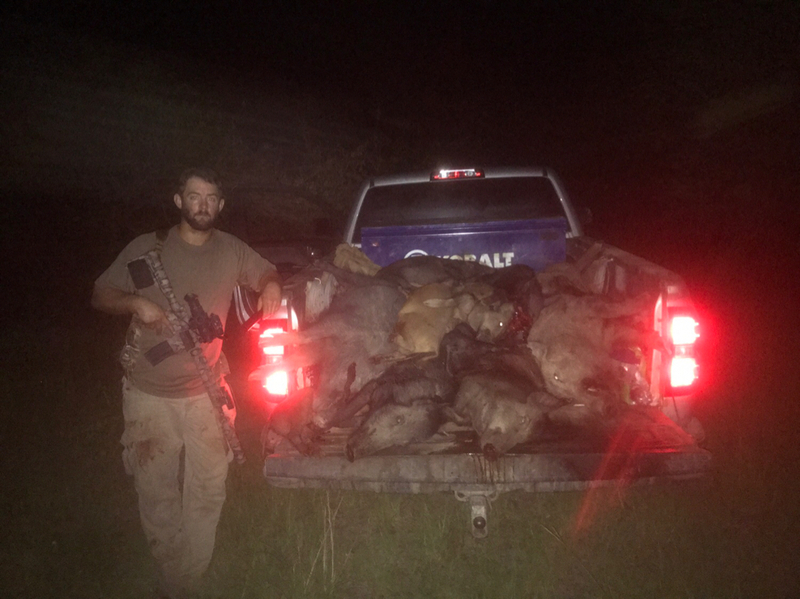 7 confirmed kills for the night. Equipment used- 12.5" 6.8 SPC from Eric at Blackstonearms.com. Reap-IR thermal sight from Cliff at ThirdCoastThermal.com recorded with the MDVR from Ultimate night vision. 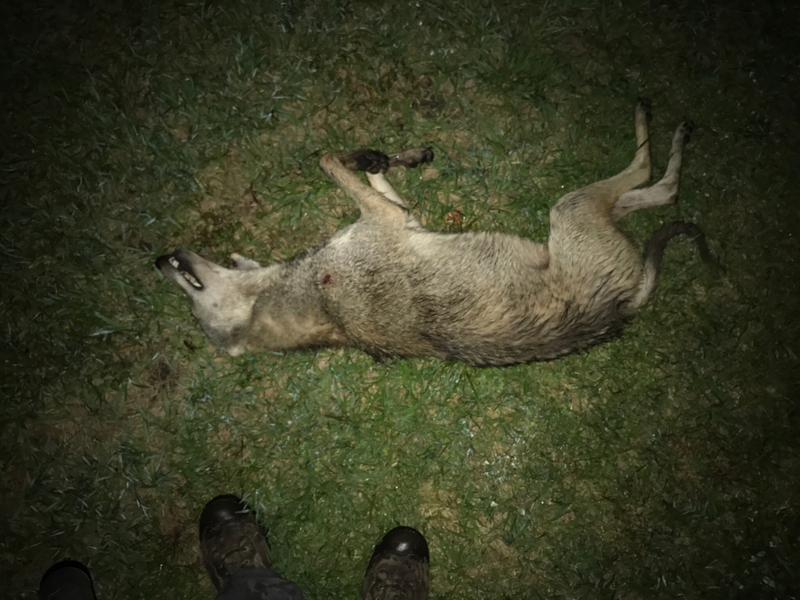 Started the night with a coyote shot from about 100 yds. Spun around for a few seconds and fell over. Bullet entered behind shoulder and exited front of shoulder. 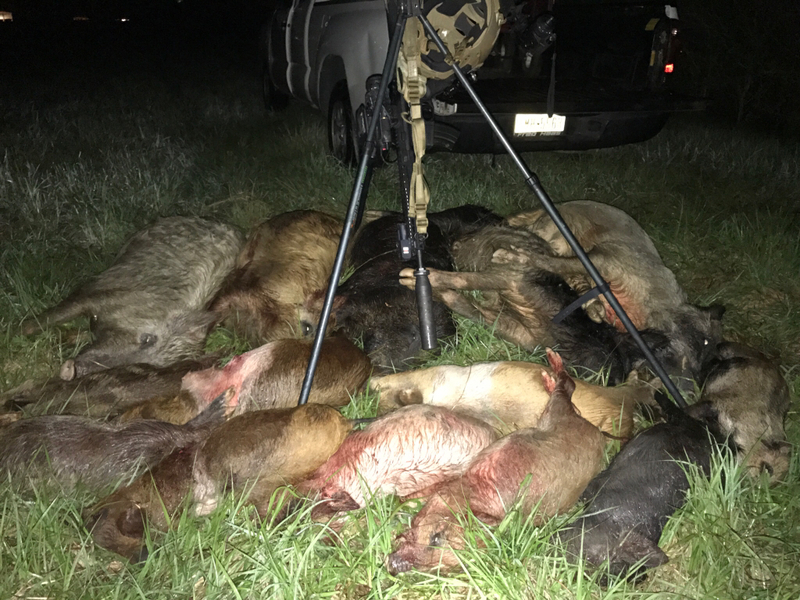 That video didn't record (forgot to enable video mode on the Reap-ir) but it did remind me to enable video on the scope which allowed me to get the next 14 confirmed hog kills from this sounder on video. equipment used: 12.5" ARP upper in 6.8 SPCII from Eric at Blackstone Arms. Reap-IR thermal scope from Cliff at Third Coast Thermal. Sig Sauer 762 titanium QD suppressor from Silencer Shop. Helmet mounted PVS-14. Slow night. 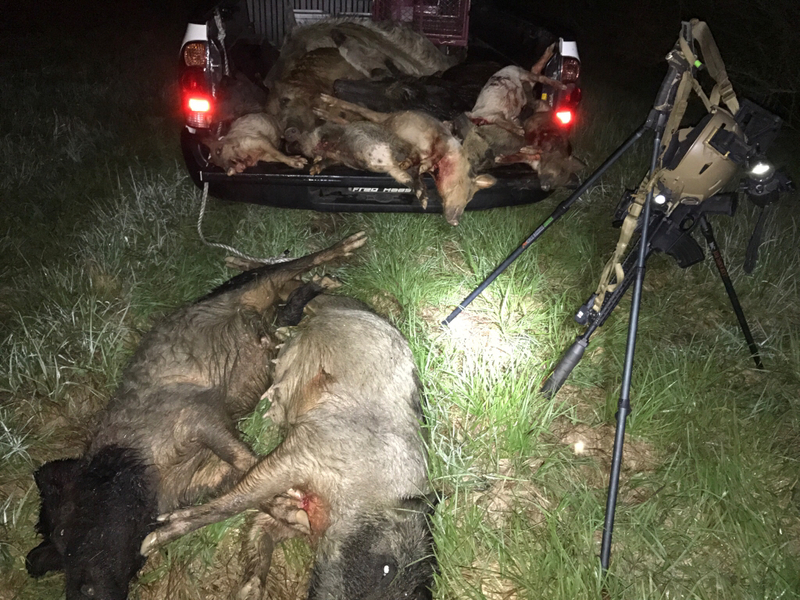 Saw these 2 coyotes around 2am and managed to get within about 100 yards. Scope was on the wrong reticle location setting. The Reap IR holds 4 different zeros and I was on the wrong gun/reticle location combo... my bad :/ End of video shows different reticle location save options. 12.5" ARP 6.8spc upper from Eric at Blackstone Arms. Reap-IR thermal from Cliff at Third Coast Thermal. Sig Sauer 762 titanium QD suppressor. 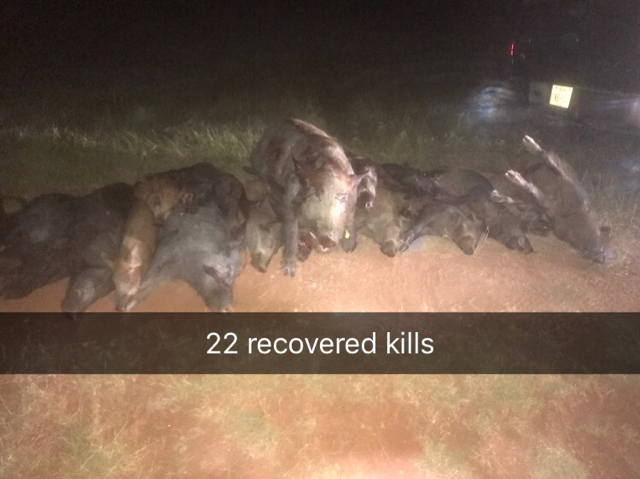 Got out for a couple hours last night near Winnie. 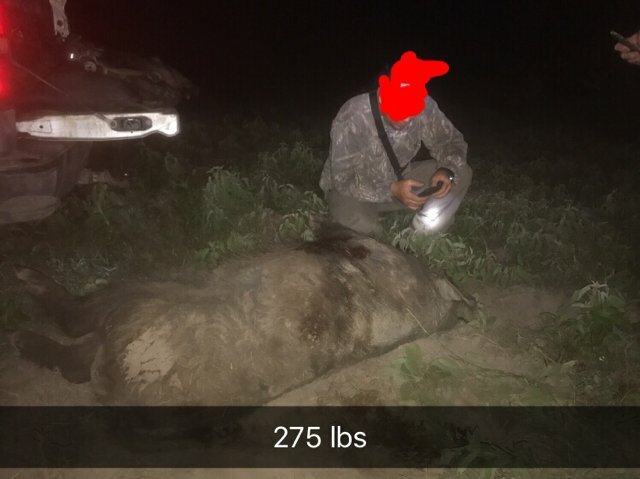 Only saw one coyote and the wind was not in my favor. I watched her run back and forth across the field for over 30 minutes at a distance. I had opened a bucket of rotten food/soured corn, but she wouldn't come in. So I blew on the wounded rabbit call to entice her a little more. She stopped and started messing with something at about 150 yards. 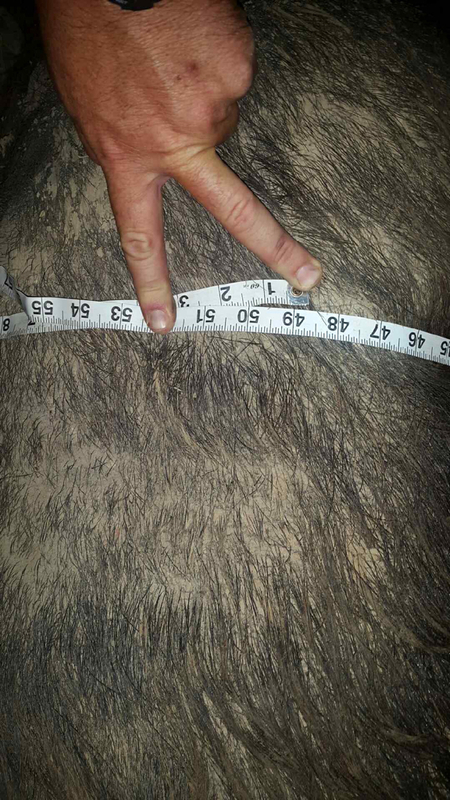 Turned out to be the coyote I didn't recover from last weekend. Since she was already apprehensive about coming any closer, I decided to take the shot.